If you work in building and construction, attending conferences and trade shows can be extremely beneficial to your career. So whether you’re in the UK, US, NZ or Australia - here’s our big list of events for 2017. We'll keep adding to this page, so keep it bookmarked and let us know if we’ve missed anything great! EcoShowcase is a series of one-day events, connecting business specifiers and buyers with building industry experts and suppliers of sustainable building products. Learn how to play your part in creating a more sustainable built environment. Unlike broader based construction shows, everyone at this event has one thing in common - concrete! The show is a magnet for senior specifying and purchasing personnel, and has over 200 product categories on display. EcoBuild is a huge event for forward-thinking professionals in the built environment, and attracts over 33,000 industry experts; including architects, developers, major infrastructure clients and local government officials. In 2017 the theme is “Regeneration”. The biggest homebuilding and renovating event in the UK, this exhibition connects self-builders and renovators with industry experts, and showcases hundreds of innovative home building products with displays from leading brands. Open Doors facilitates ‘behind the scenes’ tours of more than 130 major construction sites across England, Wales and Scotland. It’s a unique opportunity for young people interested in construction - see what really goes on in the industry, and find out about the diverse skill sets needed to start your career. A networking conference and product exhibition focused on material solutions for construction, architecture and design. The event showcases cutting edge technology in the following areas: glass, ceramics, stone, insulation, building information modelling, 3D printing, concrete, smart materials and more. An annual conference providing information on the latest developments in building surveying, addressing the future challenges facing building surveyors, and discussing how to drive the profession forward. Offers networking opportunities and breakout sessions with expert speakers. Running for 9 days, Grand Designs showcases all of the latest home renovations trends including products never seen before. The event is packed with over 500 exhibitors, along with celebrities and industry experts. Scotland’s major homebuilding and renovating event. The exhibition connects self-builders and renovators with local industry experts, and showcases hundreds of innovative home building products with displays from leading brands. The one UK event which connects manufacturers of products for windows, conservatories and doors with those who sell, fabricate and install them. Aimed at architects, specifiers and designers working in commercial, education, health and retail sectors. The 2 day exhibition will focus on new and innovative building products and materials, and provide building design solutions that comply with changing legislation. PlantWorx is the biennial exhibition for construction equipment, tools, machinery and services. As the UK’s biggest live working construction event, it attracts all kinds of construction professionals including those interested in purchasing equipment, construction site managers, project managers and operatives. A great chance for networking and trying out new equipment. Surrey’s hub of building and renovating expertise. Leading brands will showcase a vast range of products, new technologies, and offer consultations to interested buyers. Home renovators can also book consultations with builders and architects. Galvanizing companies the length and breadth of the UK and Ireland will take part in the first Industry Open Day and shine a light on the impressive alchemy that is hot dip galvanizing. London’s turn to showcase a vast range of homebuilding and renovating products to interested buyers. Offering one-on-one consultations with architects, builders, planners and technologists. One of the biggest events for the building and construction industry, the Build Show provides opportunities to network, develop and grow. Meet new merchants, discover new tools and technologies, or find suppliers of software. The show attracts thousands of construction professionals to Birmingham every year. The UK’s only event dedicated to integrated building technology, and a must-visit for professionals in the smart building industry. Jam-packed with exhibits from industry leading brands, thought leaders and CPD sessions. Attracts construction contractors, developers, council representatives, architects, and housing groups from around the country - last year over 30,000 industry professionals attended. The UK’s biggest event dedicated to civil engineering and construction. Civils Expo brings together suppliers of the latest technologies and products for the civil sector. Also features a wide range of seminars from thought leaders and civil engineering professionals. This conference and exhibition brings together professionals interested in the impact of technology and innovation on the built environment. Whether you work for a small SME, want to learn about the BIM mandate, are exploring new methods of construction, or simply want to find more efficient ways of working - there’s something for everyone here. Edinburgh’s turn to showcase a vast range of homebuilding and renovating products to interested buyers. Offering free seminars and one-on-one consultations with architects, builders, planners and technologists. One of the biggest construction industry events in the UK, London Build attracts over 20,000 professionals. With over 300 exhibitors and 150 conference sessions and workshops it’s easy to see why. Brand new this year is a dedicated Virtual Reality Zone! A conference providing information on the latest developments in building surveying. 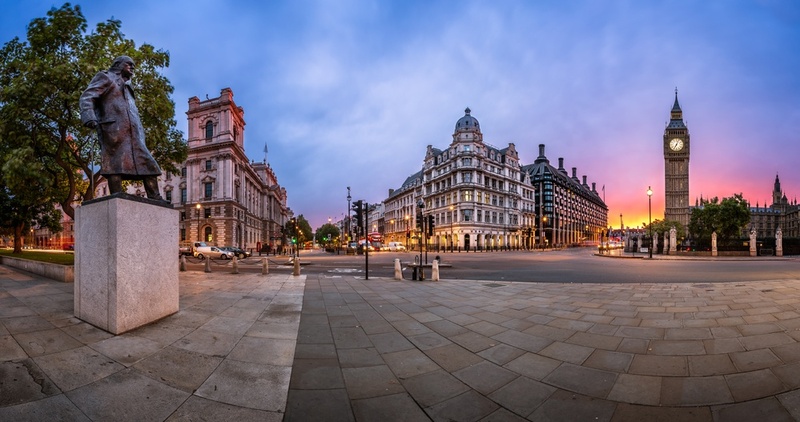 This year it will cover the impact of new surveying regulations, knowing how to meet requirements, clarifying the role of principal designers, and understanding the changing role of the chartered surveyor. Harrogate’s hub of building and renovating expertise. Leading brands will showcase a vast range of products, new technologies, and offer consultations to interested buyers. Also includes seminars on tricks of the trade, planning permissions and building sustainable homes. Somerset’s turn to showcase building and renovating expertise. Leading brands will exhibit a vast range of products, new technologies, and offer consultations to interested buyers. Home renovators can book consultations with builders, designers and architects. Scotland’s leading construction industry exhibition, focused exclusively on construction opportunities in Scotland. It attracts thousands of contractors, developers, architects, specifiers, merchants, and council officials from around the country. With seminars and workshops from top level speakers, VIP networking sessions, an exhibition floor, investment opportunities, giveaways and entertainment - there’s a lot to enjoy! This conference brings together speakers at the forefront of global construction innovation, discussing new technologies and techniques that are set to transform the built environment. It poses the question ‘What does the future of the construction industry look like?’ and seeks to identify best practices which are yet to reach New Zealand. Featuring speakers from Singapore, Sweden, Australia, South Africa, USA, Hong Kong, and of course NZ. The Christchurch Home Show exhibits a wide range of products for those interested in home renovations, including expert advice and consultations from over 160 building experts and suppliers. The perfect place to find new clients. The NZ Home Expo is - you guessed it - all about homes. Home renovations, home building, home landscaping, home additions and home selling. An excellent opportunity for residential builders to showcase their products and services. 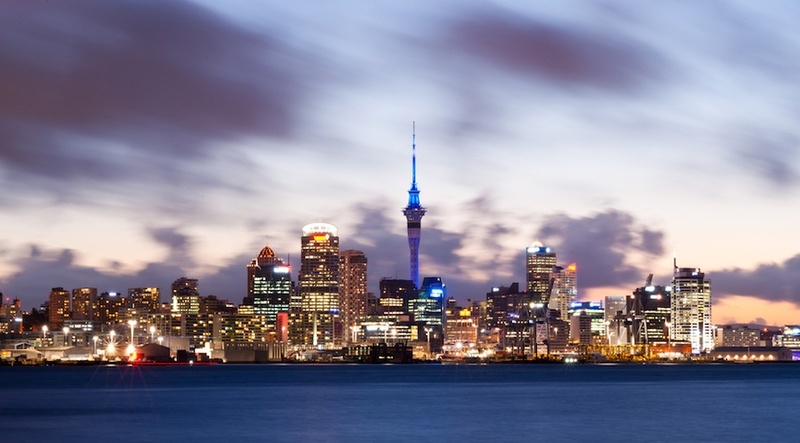 The annual conference of the Building Officials Institute of NZ (BOINZ) is a must-attend for anyone interested in building controls and regulations. Surveyors, architects, engineers, builders and developers can expand their knowledge and take advantage of valuable networking opportunities. SouthMACH is the South Island’s largest manufacturing, engineering and technology trade show. Attended by over 2,000 industry professionals and decision makers for product showcasing, networking and generating sales. The New Zealand Institute of Quantity Surveyors (NZIQS) is the professional organisation in NZ for quantity surveyors, cost managers, estimators and cost consultants in the construction industry. This year the theme of their conference is ‘Leading Through Excellence’, and includes topics to support your personal and professional growth in the construction industry. BuildNZ has a long history in New Zealand, and is one of the leading trade events for the building and construction industry. It brings together building professionals and construction industry experts to showcase ideas, new products, and build relationships. The exhibition displays the latest technology in home automation, hardware, flooring, joinery, roofing, spouting, timber, cladding and more. Held alongside BuildNZ, Designex showcases the latest products in interior design; including fabrics, flooring, paint, carpets, blinds and lighting. Network with architects and designers, or make connections with buyers seeking to renovate their homes. On average, 75 people per year die on the job in New Zealand, and 1 in 10 is harmed. 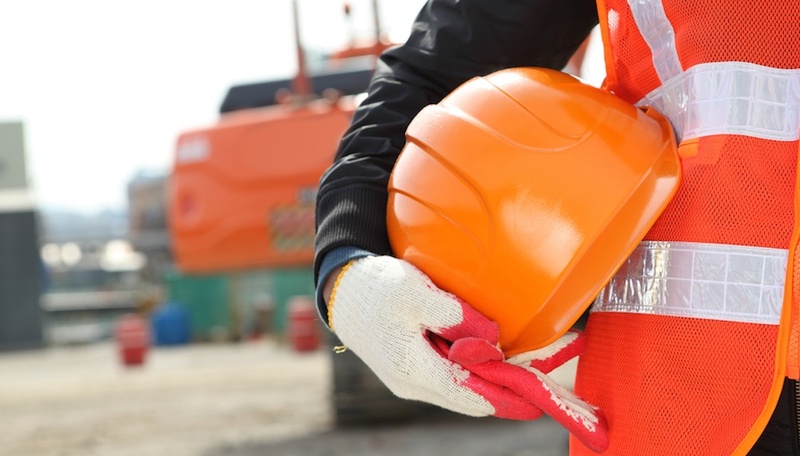 The issue of workplace safety is paramount for those in the construction industry. The National Safety Show aims to bring together specialist companies to solve business safety problems. Explore new products, services and innovations that are directly catered to New Zealand’s safety industry. The Civil Contractors New Zealand (CCNZ) 73rd annual conference will be held in Dunedin Centre. CCNZ represents over 400 members in engineering, construction and contracting businesses throughout New Zealand. Their conference is a chance for sponsors and exhibitors to profile their company and leverage their products to a relevant audience. There will also be keynote speakers and workshops from industry experts. The iconic Auckland Home Show runs for 5 days in September. Over 500 exhibitors will showcase the latest trends, products and services in renovations, building, furnishing and home improvement. There are free seminars and potential buyers can book consultations with builders or designers. Great for finding new clients. The Canterbury Home Show exhibits a wide range of products for those interested in home renovations, including expert advice and consultations from over 160 building experts and suppliers. The perfect place to find new clients. This construction exhibition focuses exclusively on construction opportunities - both commercial and noncommercial - in Auckland and New Zealand. It’s the ideal place to gain access to information about the latest projects around the country, and network with contractors, developers, architects, government officials, and other construction industry professionals. The Engineering, Machinery & Electronics Exhibition (EMEX) will return to Auckland in May 2018. The event showcases industry supplier innovations to engineers, manufacturers and electronics professionals from around the country. It’s also a chance to network with thousands of other professionals in these specialist fields, and learn about the latest technology shaping the industry. The Perth Home Show is for buyers who are hoping to build, decorate or renovate. With thousands of products showcased, seminars and consultation sessions, it’s a great place for builders and construction companies to show off their projects and connect with potential clients. The Brisbane Home Show is for buyers who are hoping to build, decorate or renovate. With thousands of products showcased, seminars and consultation sessions, it’s a great place for builders and construction companies to show off their projects and connect with potential clients. The Sydney Home Show is for buyers who are hoping to build, decorate or renovate. With thousands of products showcased, seminars and consultation sessions, it’s a great place for builders and construction companies to show off their projects and connect with potential clients. The leading construction expo for Sydney, the building capital of Australia. Featuring over 120 exhibitors, thousands of construction professionals, free CPD accredited conferences and workshops, a sustainability summit and more. The Melbourne Home Show is for buyers who are hoping to build, decorate or renovate. With thousands of products showcased, seminars and consultation sessions, it’s a great place for builders and construction companies to show off their projects and connect with potential clients. This award winning trade show is a powerful business platform. 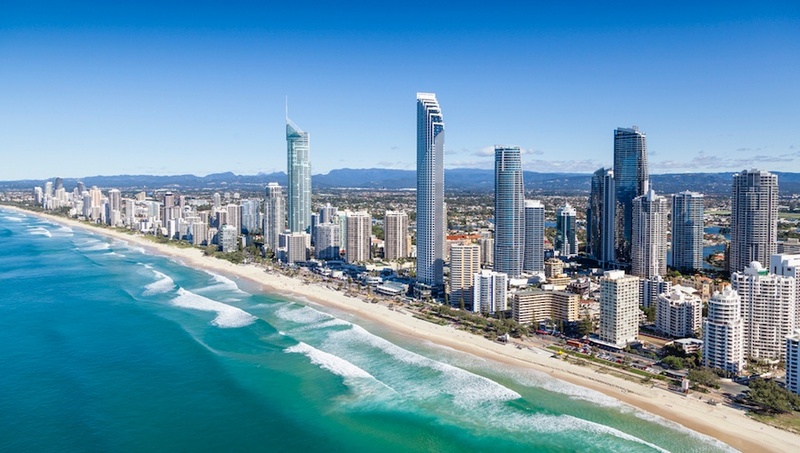 Bringing together Australia’s professional architects, building professionals, contractors and designers - and connecting them with manufacturers, suppliers and service providers - it offers 3 days of unrivalled networking and inspiration. The largest gathering of Australian manufacturing industry decision makers, this is a unique opportunity for professionals to network and do business with the manufacturing market, generate new sales, and promote brand awareness. The Perth Tradie Expo offers contractors and tradies the chance to purchase all kinds of construction tools and equipment, machinery and commercial vehicles and workwear. Along with the chance to play with new toys, the expo brings a panel of experts to help tradies in all areas of life - including investment, health, business and legal advice. The Green + Building Exhibition connects building and construction industry players with the latest technology, hardware, materials, equipment and services. Head along to meet customers, new prospects, suppliers, and investors - along with key influencers in the construction industry. This event showcases building equipment and materials, along with house building and renovation plans from architects and designers. Demonstrations and workshops will provide information about the building and home improvement sector. This year the Master Builders National Conference, ‘Building Australia’ is held in a beautiful historic waterfront venue in Hobart, Tasmania. If the location alone isn’t incentive enough incentive enough, the conference will also deliver talks from high profile speakers in the building and construction industry, a full exhibition and an exciting social and entertaining agenda. All rounded up with the Master Builders National Excellence in Building and Construction Awards, presented as the grand finale! ACE Expo is one of the largest construction industry events in Australia, and is expected to return for the 9th time in 2017 (date TBA). The exhibition showcases products and services for the construction and earthmoving sector; including trucks, excavators, dozers, graders and lifts. Industry professionals will benefit from show specials, equipment demonstrations and seminars. The Air Conditioning Refrigeration & Building Services (ARBS) exhibition was a hit in 2016, but is taking a hiatus this year. It’s recently been announced it will return to Sydney in 2018 (date TBA). The exhibition gives industry professionals the chance to promote their HVAC & R products to buyers, specifiers, consultants, project managers and end users. The Louisville Build, Renovate & Landscape Expo is where homeowners hoping to renovate meet face-to-face with building experts. It’s a must visit for local contractors hoping to get new business, build brand awareness or showcase their products and services. The LA Build Expo brings together commercial builders, home builders, architects, engineers, designers, developers, and other construction professionals under one roof. It’s an excellent opportunity for networking in your field and generating sales leads. Buildex Vancouver is Western Canada’s biggest conference and tradeshow for the construction, building, renovation, architecture and design industries. It hosts over 600 exhibits and a wide range of educational seminars for industry professionals. The VRCA Construction Leaders Breakfast is a great chance for networking, and features presentations on the latest construction technologies. The Construction World Expo runs over 2 days in Fort Wayne, and showcases products and services in commercial and residential construction. All of the major construction industries are represented at this huge expo, with over 2,500 exhibitors spread over 2,500,000 square feet of land. If you’re thirsty for knowledge there will be over 150 education sessions to choose from. Topics include lifting, mining, concrete, asphalt, earthmoving, utilities and much more. The Dallas Build Expo brings together architects, developers, commercial builders, home builders, engineers, and other construction professionals. It’s the perfect opportunity for networking in your field, generating sales leads and showcasing your services. Touted as the largest gathering of architects, designers, property owners and managers, BuildingsNY offers a range of solutions for building smart and efficient buildings. With exhibitions, workshops, partnership chances and networking events, it’s a good opportunity for anyone in construction with an interest in smart buildings. Buildex Edmonton is the region’s biggest tradeshow and conference for construction, architecture, design, renovation and property management. It attracts over 2,500 visitors annually and features over 150 exhibits and a range of educational seminars. The West Virginia Construction & Design Expo is another sizeable event, with over 4,700 attendees last year. With products and services showcased, networking business breakfasts and over 85 educational seminars, it’s a must visit for West Virginia construction professionals. The Atlantic Building Supply Dealers’ Association (ABSDA) hosts its annual exhibition for the building supply and home improvement industry. It claims to be the largest and most economical buying expo in Atlantic Canada. Offers networking opportunities, meet and greets, vast product exhibitions and a big banquet dinner. INTEX is the biggest trade show in the US specifically catered to the wall and ceiling industry. All market niches will be represented; ceiling acoustics, metal framing, insulation, EIFS, drywall plaster, software and more. Showcase your products and build relationships with relevant decision makers. If you’re a woman in the construction industry this conference aims to help you expand networking opportunities, find mentors in your field, provide insight through educational panels, and offer advice on career advancement. It’s a unique forum for supporting each other and sharing ideas and knowledge with other women. The Atlantic Builders Convention (ABC) is the biggest regional building industry tradeshow in the Northeast region. This year it features a special floor called the “Green Neighbourhood” where builders, vendors, contractors and practitioners with experience in green infrastructure can network and share knowledge. The Hard Hat Expo is a dedicated gathering of construction equipment and service providers in New York, showcasing the latest innovations and technology. It has an estimated attendance of 6,000 - 8,500 exhibitors and buyers. The WICERS conference offers in-depth panel conversations from women in construction, powerful presentations, and the chance to build and cultivate partnerships. For women who work in construction, engineering, or related services it’s the perfect opportunity to network and discuss challenges. This conference will bring together both men and women from across the AEC industries, to discuss diversity and inclusion issues. The conference will focus on the challenges faced in a traditionally male-dominated sector, and potential strategies for breaking down barriers. This cleverly named conference teaches women about the key skills needed to succeed in the construction industry, while providing inspiration and networking opportunities. Women at all stages in their industry careers are welcome. Last year’s event sold out, so you’ll want to get in quick! The Miami Construction Show covers “Everything from Groundbreaking to Finish” along with renovations and remodelling. It will showcase construction products from Europe, China, Asia, and the US. The exhibition really is comprehensive including heavy machinery, trucks, trailers, building materials, electrical supplies, windows and doors, scaffolding, trenching equipment, work clothing, demolition and much more. The Atlanta Build Expo all types of construction professionals - builders, architects, designers, developers, and government officials. It’s a great chance to get your brand out there, build sales contacts and network with those in your field. The Southeast Building Conference (SEBC) is Florida’s largest building industry trade show, and one of the oldest around. It’s been running for 39 years! The SEBC offers three days of hard-hitting educational seminars, round table talks, and industry briefings. The award winning Sunbelt Builders Show is one of the biggest building industry events in the US. It attracts thousands of residential construction industry professionals from around the country and overseas. More than 200 exhibit booths are featured, along with special networking events and keynote speakers. The Houston Build Expo is aimed at architects, developers, builders, engineers, all other construction professionals. It promises to help generate leads for your construction business by facilitating networking and providing opportunities to showcase your services to the right audience. CONSTRUCT is a national event dedicated to the commercial building industry. It’s aimed at builders, specifiers, engineers, designers, renovators, or anyone who operates in the commercial built environment. Hundreds of exhibitors will showcase the newest trends and practices, and over 50 accredited courses are on offer. The 21st Building Expo & Conference (21BEC) is a huge tradeshow and educational event for the home building industry. Builders, contractors, land developers and remodelers will all be in attendance. The expo features over 170 exhibits and 45 seminars, spread across 3 days. Greenbuild claims to be the world’s largest expo and conference focused on green building. Aimed at the green building community, it’s a place to share ideas, knowledge and passion. Industry leaders in sustainable building will meet for seminars, showcases, LEED workshops, and tours of the host city’s green buildings. Returning for its 29th year, the annual Construct Canada will host over 1,600 exhibits including over 100 international exhibitors. The expo showcases the latest developments in design and construction innovation, technologies and best practices. Over 30,000 industry professionals are expected to attend. The 2017 show has been and gone but you can look forward to the NAHB International Builders’ Show returning in January 2018. This construction industry expo is huge and welcomed approximately 80,000 attendees in 2017, with over 1,500 manufacturers and suppliers showcasing their goods. Next year’s is expected to be even bigger. Returning in 2018, the Austin Build Expo brings together builders, engineers, architects, contractors, and all other construction professionals. If you live locally and want to network, generate sales leads or build brand awareness in your field - this is the place to be. Like the name suggests, this show is all about concrete. It returns to Las Vegas in January 2018, and will be packed with exhibits, demonstrations, training workshops and networking breakfast. For construction professionals who deal with concrete this is not to be missed.